There are many things that are unforgettable when you take a Skyline Cruise. It is the perfect venue for any event, whether it’s a corporate outing, wedding, Bar/Bat Mitzvah, Sweet Sixteen, or Quinceanera. The food onboard will be mouthwatering and we give you a wide variety of menu options, for whatever event you’re planning. Another thing that we can guarantee is that you’ll see some spectacular sights aboard our luxury yacht the Skyline Princess. So why not bring your camera? 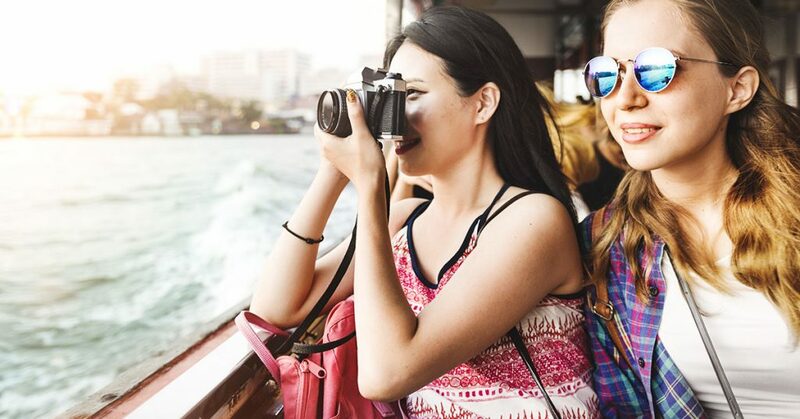 In fact, if you’re part of a photography class or club, or even just a camera-buff, booking a Skyline Cruise is the perfect way to hone your photography skills, while having a fun group outing. There are many options for booking your photography excursion aboard the Skyline Princess. All of our public cruises leave from our home port located at the World’s Fair Marina in Flushing, Queens. Many of our full ship charters leave from there as well. But the Skyline Princess also leaves from ports all over the Tri-state area. We can leave elsewhere on Long Island as well as from Connecticut, Westchester, New Jersey and other ports in New York City. Skyline public and charter cruises can offer you the chance to point your camera at the world-famous sites of New York City. There’s the spectacular skyline. You’ll have opportunities to photograph the Chrysler Building, Empire State Building, United Nations and One World Trade Center. The Skyline Princess will also pass by the Triborough, Queensborough, Williamsburg, Manhattan and Brooklyn Bridges. Plus, there will be several opportunities to take unique photos of the Statue of Liberty. The Skyline Princess will give photography clubs and all of our guests plenty of room to take their photos. There are outdoor viewing areas on every level of the ship. We leave year round in all types of weather, so whatever season of the year you want to photograph. We can accommodate you. If you’re not an experienced photographer, the New York Institute of Photography offers a few tips for taking photos on a boat. A tripod may be OK if you’re photographing somebody on the boat, but if you’re trying to snap a shot of a landmark from the boat, it’s not a good idea because the tripod will rock along with the boat. You also shouldn’t rest your camera on a deck railing. The website How Stuff Works recommends taking photos with a faster shutter speed and an ISO over 300. Zoom in on the details of the famous sights of Manhattan. But we don’t just cruise by New York City. If you do a full ship charter of the Skyline Princess, you can also cruise the Long Island Sound. Your group can photograph lighthouses and beautiful mansions, on the Long Island shore or the Connecticut coastline. If you cruise near Long Island you can also see historic forts like Fort Totten and Fort Schuyler. Our Connecticut cruises feature views of private islands as well. Wherever you cruise, Skyline will work with you to make the day exciting. We offer full ship charters, but if you have a smaller group, we can rent out a private deck on a public cruise or just a few tables for your event. To get started, contact us today.